This new look Hanukkah menorah adds a new demeanor to the traditional menorah. 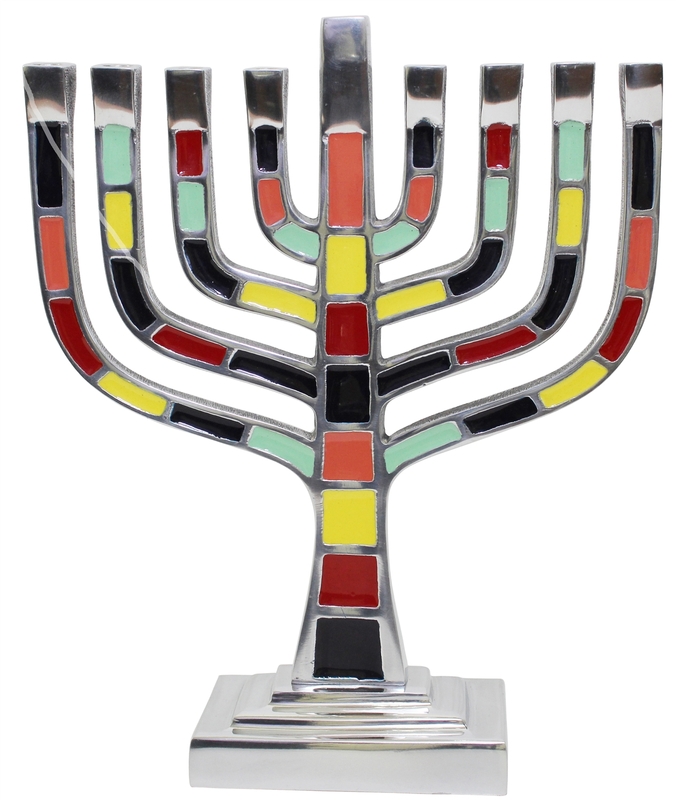 Although built to replicate the traditional menorah, this all aluminum frame menorah has many pieces of decorative colorful tiles covering the face of the menorah, giving it a brighter look. The structure of the menorah’s branches gives it its distinct look as a traditional menorah with a twist.